For context, the conversation started with me asking about opt-in versus opt-out product releases — which means, do you first ask your customers whether they want to use something new, or do you give it to them and let them decide if it’s useful or not. Opt-out has been the preferred choice of many companies, perhaps most notably Facebook, because it cuts out the friction of requiring additional permission. Liz Gannes: What do you anticipate being the FTC stance around opt-in going forward? Is it reasonable to interpret the framework as pushing the industry towards opt-in policies? 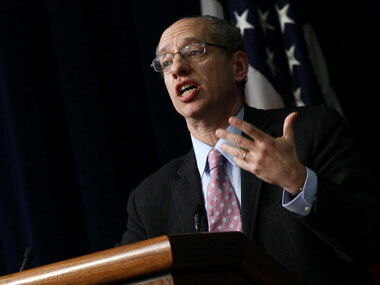 FTC Chairman Jon Leibowitz: We’ve laid out some areas where we think opt-in is more appropriate. With financial information, in healthcare, when dealing with vulnerable populations like children. And if cable or phone companies want to do something analogous to deep-packet inspection, there should be opt-in. I think we’re pretty balanced. You want to have better privacy notices, give consumers more choice, and give opt-out on tracking. When you’re talking about more sensitive populations, you might want to flip that and make it an opt-in. We also think when you engage in best practices, what we hear from companies is consumers trust the Internet more, and they want to do more commerce. How do you expect newer companies, for instance growing social media players like Tumblr or Pinterest, to interface with the FTC? How can they proactively avoid investigations and settlements like what you had with Google and Facebook? We think our report strikes the right balance between privacy and innovation. I think if you’re a new company, make sure you’ve seen our cases. A large number are about making privacy commitments and not honoring them. So if you commit to something, follow through. Leibowitz, by the way, will be appearing at our D10 conference in May.